Imagine that you wanted a toy horse or car for Christmas. However, when you woke up on Christmas morning, what you got was not a TOY horse or car, but a REAL LIFE thoroughbred horse or a 2016 Ford Mustang! No doubt, that would be a pretty exciting turn of events! This is what happened to Zechariah. He had asked God year after year for a baby. When God finally gives Zechariah his wish, it is more than just a baby . . . his child would be special. His child would be John the Baptist who would prepare the world to learn about Jesus! Question of the day: In what ways does God often do for us even MORE than we know how to ask for? NOTE: Each day between now and Christmas, I will be posting these devotional thoughts concerning Advent to this blog. 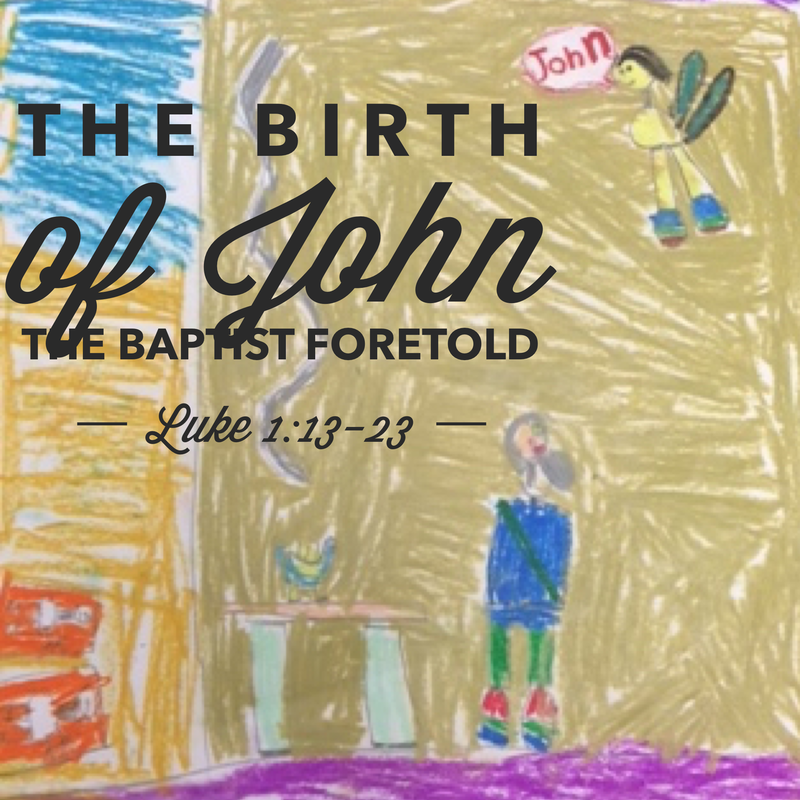 The artwork for each day is a product of children from Wildwood Community Church‘s Children’s ministry. You can also access these posts via the “wildwoodchildren” Instagram feed or Wildwood Community Church’s Facebook page.